In recent years, NIMBioS has developed productive partnerships with faculty in many units at the University of Tennessee, collaborating on and helping manage a variety of sponsored projects. Totaling more than $3.2 million, these grants, contracts and cooperative agreements span interdisciplinary research, from modeling infectious disease to evaluation of STEM education to analysis of issues of concern in conservation and environmental science. “NIMBioS is experienced in helping faculty build new interdisciplinary research and education efforts and has the capacity and resources to foster successful proposals to diverse funding agencies,” said NIMBioS Director Louis Gross. Why do UT faculty partner with NIMBioS to develop proposals? Benefits of partnering with NIMBioS include tapping into the guidance of the NIMBioS Leadership Team and staff. Since 2009, the Leadership Team has been successful in managing the first major NSF-funded center-scale activity at UT Knoxville — NIMBioS — and has also brought in over 20 externally-funded projects to UT Knoxville from a diverse collection of federal agencies. Many on the Leadership Team have also served as reviewers for these agencies and so can lend this expertise in proposal development. NIMBioS has consistently received outstanding ratings from the well over 6,000 visitors that it has supported over the past decade. The staff is experienced in managing every aspect of logistics for any activities that could be developed as a part of a proposal, from small 10-person Working Groups, to major Conferences with over 200 attendees. Logistically, NIMBioS staff takes care of all the details of managing meals, travel and lodging, while allowing organizers of activities to focus on the science and education components of their project. In addition, NIMBioS has access to a network of more than 5,000 connections around the world in quantitative and life science areas and can readily publicize research successes through its established science communication channels. NIMBioS also offers expert advice on choosing an evaluator appropriate for any proposal or project, though the National Institute for STEM Evaluation and Research (NISER), which is part of NIMBioS. The NISER staff can directly assist by serving as the evaluator of a project and by assisting investigators to develop the evaluation section of proposals for external support. For projects with a spatial analysis component, NIMBioS has a set of tools to assist spatial analysis of environmental systems, including a drone that can collect photos and multispectral data, a terrestrial LIDAR system, and expertise in software to analyze the data arising from projects. The Spatial Analysis Lab (SAL) has a standard set of charges for its services that can be specified as appropriate in a proposal or used for currently funded projects. For those needing some support for modeling projects, NIMBioS is also developing the Mathematical Modeling Consulting Center. Although in its early stages, the MMCC is ready to help. Are you thinking of getting a project started that might benefit from modeling, but you’re unsure how to start? Please contact MMCC Director Nina Fefferman at nina.h.fefferman@gmail.com. For proposals submitted through NIMBioS, the Institute works with the principal investigators to provide accounting and management services as needed and to develop an indirect cost sharing agreement that can potentially provide more flexibility in planning the project than might be obtained otherwise. 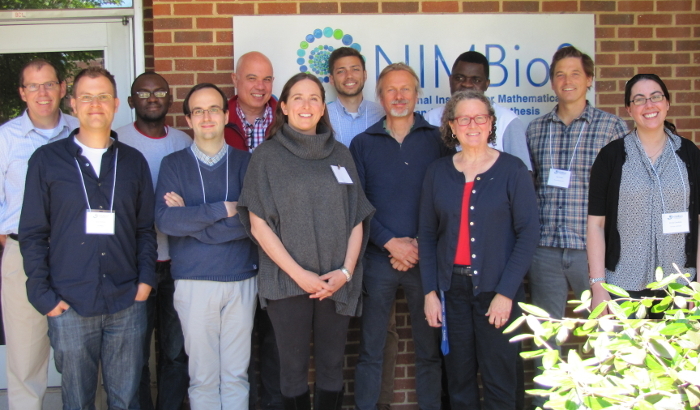 Finally, through NIMBioS, PIs have access to a group of highly successful quantitative researchers with broad skills in mathematical modeling, mathematical biology, spatial data analysis, data science, coding and high performance computing who can serve as collaborators on proposals or be consultants. We invite UT faculty to partner with NIMBioS and to learn how NIMBioS can help you build new initiatives at the forefront of scholarship. Please contact NIMBioS Director Louis Gross at gross@nimbios.org. For a full list of current awards at NIMBioS through UT faculty, visit http://www.nimbios.org/UTpartner. This entry was posted in awards, collaborations, innovate, interdisciplinary, Leadership, research and tagged awards, leadership, research. Bookmark the permalink.